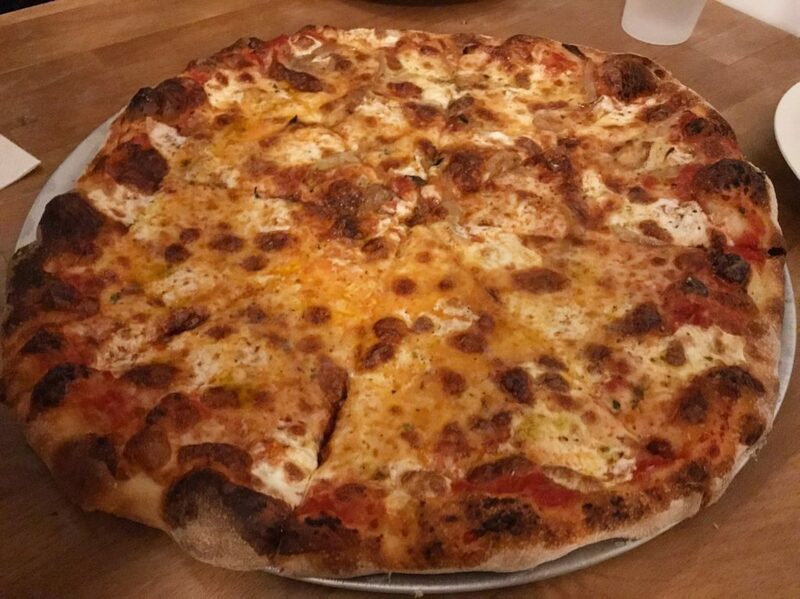 Summary : With only 40 pies available four nights a week, a pizza from Pizzeria Beddia has become one of Philadelphia's most coveted food items. Whether it's worth it, is another story. 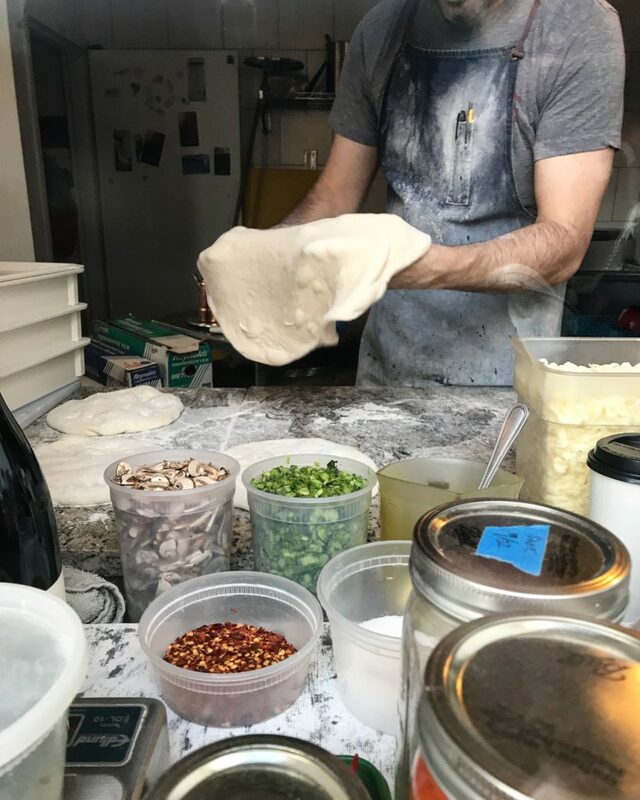 Nearly five years ago, Pizzeria Beddia opened in Philadelphia’s Fishtown neighborhood. 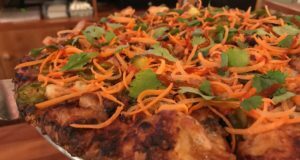 And in 2015, Bon Appetit named it the best pizza in America. Ever since then, it’s been a national phenomenon with pizza fanatics traveling from near and far for a pie. 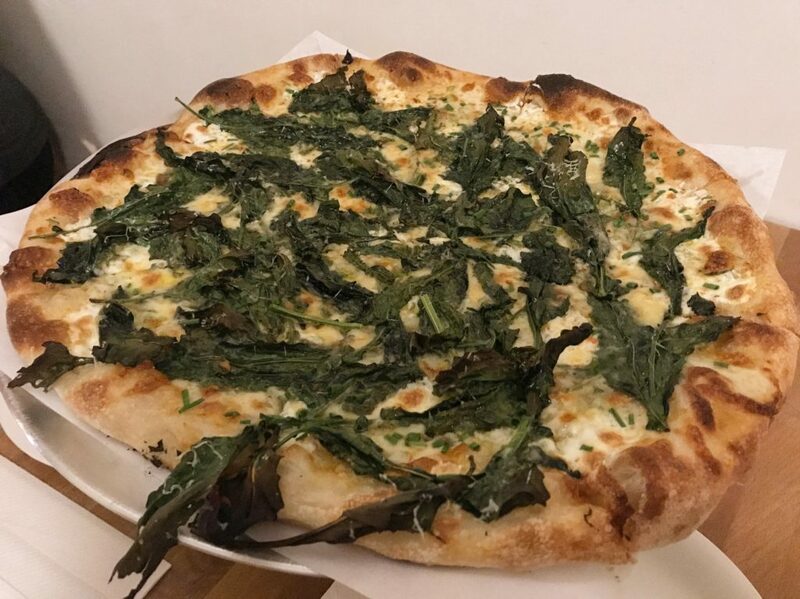 But Pizzeria Beddia (115 E Girard Ave) is not your typical pizza place. 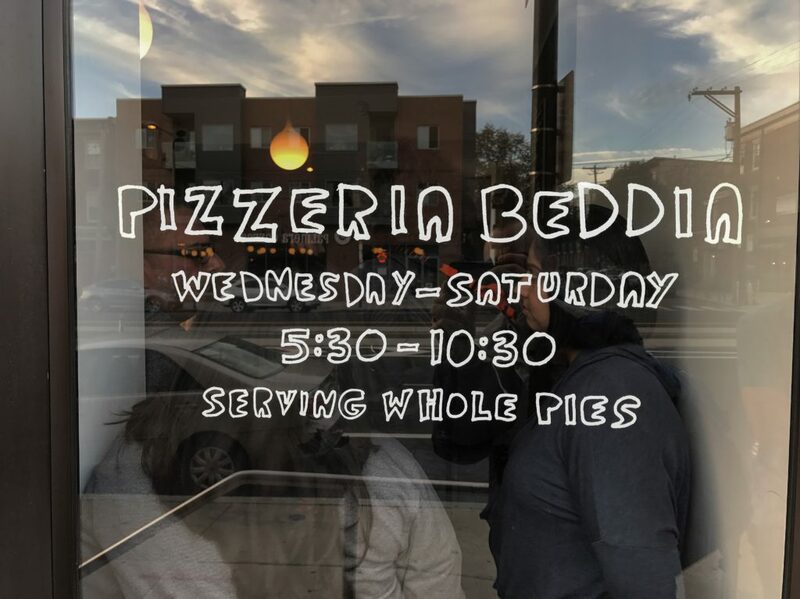 In a decision that is likely, in part, a marketing ploy and, in part, a measure of quality control, Pizzeria Beddia serves just 40 pies per evening. They’re only open four nights a week (starting at 5:30PM) and usually sell out immediately. For that reason, lines begin forming hours before doors open. This whole situation exudes a sense of exclusivity. 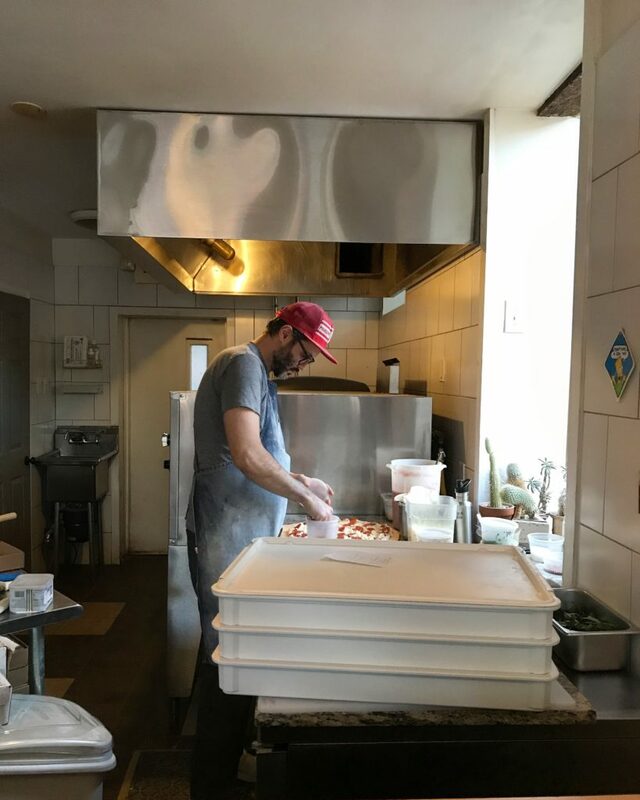 Before I tell you about my experience there, it’s worth mentioning that patrons usually fall into two distinct buckets: those people who love Pizzeria Beddia and those people who hate it. Those people who love it, I imagine, are people who relish the entire experience. They get a rush from standing out in the cold, drinking beers, knowing that they’re about to dig into a somewhat limited food item. These people may tend to subconsciously overrate the pizza itself. And the people that hate it? These people have fundamental issues with the way that Pizzeria Beddia operates. They may underrate the pizza as a result of the time and effort needed to try it. There are, in my non-scientific estimation, about 3x-4x more 4-star and 5-star reviews than 1-star and 2-star reviews on Yelp. Regardless, if there is one thing I think everyone can agree on… it’s that Pizzeria Beddia has struck a chord. And it was against this backdrop, that I decided to pay a visit. I’ve actually been to Philadelphia numerous times in the past 5 years, but I was never able to spare an entire half day to visit Pizzeria Beddia. Earlier this year, for example, I was in town and owner Joe Beddia was on vacation so they were closed. You see, Joe makes every pie himself, one at a time (a young Dom DeMarco, if you will). Although Joe does a good job at updating the pizzeria’s social channels with schedule changes, it can certainly cause frustration to those who book plans to Philadelphia far in advance, with hopes of visiting Pizzeria Beddia (I can’t be the only one who plans vacations around food, right?). On a Saturday in late October, I was in Philadelphia with no prior obligations, and it seemed like as good a time as ever to go to Pizzeria Beddia (the pizzeria’s website notes that lines are shorter on Wednesday and Thursday, but the weekdays are less conducive to out of towners like myself). From what I could garner, the line on Saturdays forms as early as 2PM or 3PM. And by 4:30PM – one hour before doors open – generally a couple dozen people are lined up. I arrived at 4:15PM and counted 24 people in front of me. I’d read online that there was a limit of two pizzas per person (although I didn’t see any signage which noted that). I liked my chances of getting a pie; since each pizza serves two people, I figured some of the couples in front of me would be sharing a single pie. 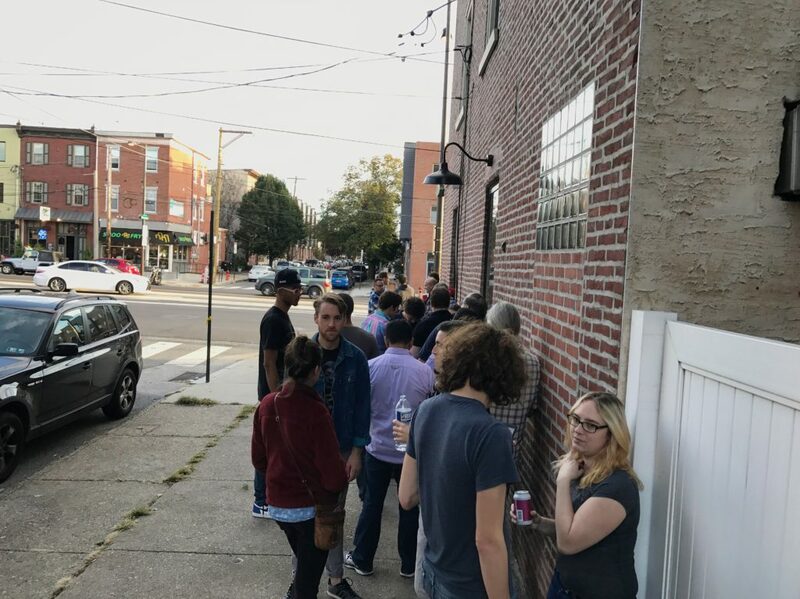 At around 5:15PM, the doors opened and the line began moving slowly. By this time, however, there were now 31 people in front of me (as a result of people holding spots in line for others in their group). Now I was nervous I was going to get shut out. I don’t have many major complaints about Pizzeria Beddia. But my biggest peeve is that there is absolutely no line management. I know Joe has minimal staff – it’s just him and one other employee each night. But what would be nice is if every 15-30 minutes someone came outside to check on the line. Perhaps they could distribute 40 “pizza cards” every evening to those in line (max 2 per person). Once all the cards have all been handed out, people know there is no point in waiting in line because all the pies have been claimed. 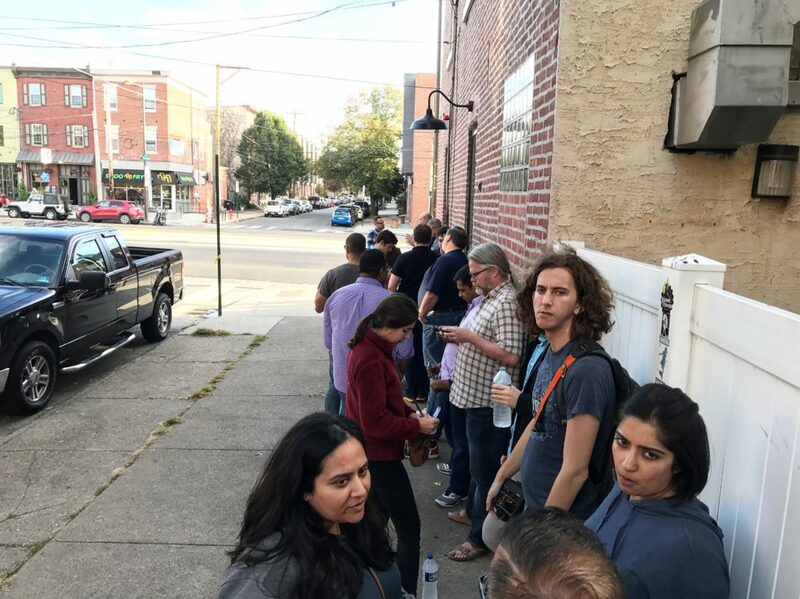 The way the system works now is that you have to spend time waiting in line – without knowing how many pies people in front of you will order (or how many spots the people in front of you are holding for their friends) – in hopes that there will be enough pizza by the time it’s your turn to place an order. Franklin BBQ in Austin, Texas is a model in line management. Sure, they have a much bigger staff. But every so often, someone comes and checks on the line. You tell them how many pounds of brisket you’re planning on ordering. Once all the brisket is claimed for the day, they cut off the line (well, actually, they give the last person in line a sign that notes that no brisket is guaranteed beyond that point). If you decide to wait in line, you’re doing so at your own risk. Pizzeria Beddia should implement a similar system. It would take minimal work to maintain and would ensure that people don’t waste hours waiting in line for nothing. I finally got to the front of the line around 5:45PM and alas, there was still pizza left. 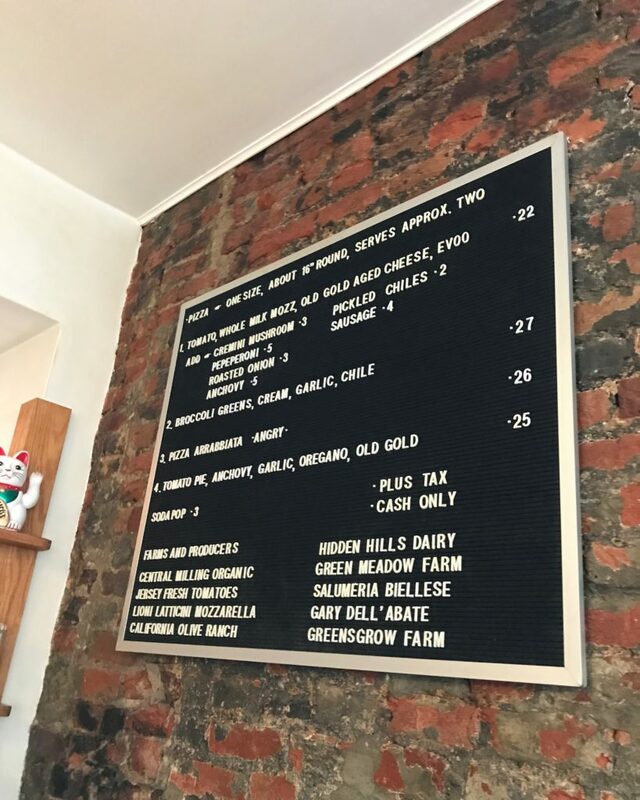 There were four pies on the menu: Cheese (tomato, whole milk mozz, old gold aged cheese, evoo); Broccoli Greens (cream, garlic, chili); Arrabbiata; and Tomato (anchovy, garlic, oregano, old gold). In addition, you can add one of six toppings to the cheese pie for between $2 and $5 per topping. I had to try the cheese pie (and added roasted onions for $3). The arrrabbiata (which is spicy) sounded great, but was too close to the cheese pie. I don’t like anchovies, so the tomato pie was out. 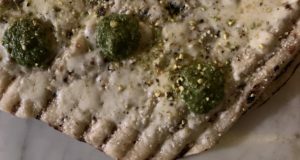 That left me with the “Broccoli Greens” pie – not something that typically sounds appetizing to me. But I saw a few come out of the oven while I was in line and they looked delicious. I paid $52 (plus tax) for the two pies and was told they would be ready at 9:30PM – almost four hours after I placed the order. Assuming there were about 35 pies to be made before mine, that would mean Joe is cranking out about 10 pies per hour – a pretty good pace. Despite my qualms about the line management, I actually like that they give you an exact time your pizza will be ready. There is no standing around, waiting for a text. They don’t give you a buzzer. You’re free to do as you please until the time they tell you. People in the front of the line can expect their pies to be ready around 5:30PM or 6:00PM. With the final pies coming out around 10:00PM. I returned with some friends promptly at 9:30PM, over 5 hours after I initially got in line. And lo and behold, my pies came out shortly thereafter. We started with the “Broccoli Greens” pie which was as good as a pie with “Broccoli Greens” could taste. And the cheese pie was also excellent – I especially liked the roasted onions on top. The pies are filling (about 16 inches). The crust is crunchy. They ingredients are fresh and of high quality. 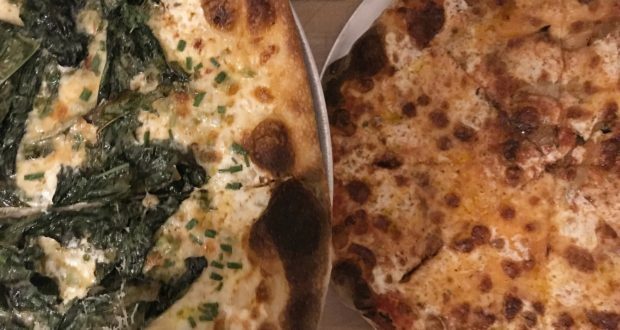 While I wouldn’t go so far as to say it’s the best pizza in the United States, it might just be among the best pizza in Philly (I do also love Pizzeria Stella and Pizza Brian). 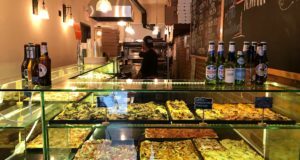 Even if I were to say that Pizzeria Beddia is better than those places (which I won’t), the question is whether it is worth the time and the hassle. To me, Pizzeria Beddia is an experience. Like that one time in college when I slept on the street outside of Rockefeller Center for Saturday Night Live tickets. I was glad I did it. But I will never do it again. That’s not to say I’ll never go back to Pizzeria Beddia – but it would be inconvenient to do so. It’s hard to separate out the quality of the pizza from effort required to obtain it. I’m not somebody who inherently hates waiting in line for food. And I applaud Joe for his attention to detail and the quality of his pies. Everyone should try it once. But when there is other good pizza in the neighborhood (Pizza Brain is a 5 minute drive away) it’s hard to justify waiting in line over and over again.